The construction of Timaru’s artificial port from the 1870s secured the town’s economic future. 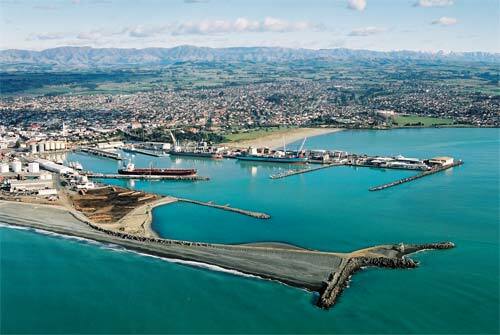 Sediment built up at the northern breakwater (centre), creating a popular, sandy beach at Caroline Bay. The profitable port company is owned by the district council and private investors.